Can an established Democrat in a city that has seen nothing but Democratic rule for more than 50 years really be a reformer? Back in January, Philadelphia magazine had a great profile of Philadelphia’s likely next Mayor, who is charged to answer that question. The story, written by Jason Fagone, and appropriately called “Michael Nutter’s Dilemma” ran with the tagline: Is this man too much of a reformer to be mayor? Or so hungry to be mayor that he can’t be a real reformer? As many of his campaign commercials suggest, like the one below, he ran as a reformer, fighting the “corruption” that plagues the city – a city ran by his own party. On Nutter’s first big-ticket bill in Council, creating a Police Advisory Commission, the board selection committee, which he chaired, suggested [former City Counilwoman and famed Democratic machinist Carol Ann] Campbell as a member. In return, Campbell helped to fend off challengers for his Council seat and freed him to tackle issues beyond his own district. Despite having played nicely with many of the boogeymen in the city’s Democratic Party, Nutter is filling a voice that one might think an alternative political party could. 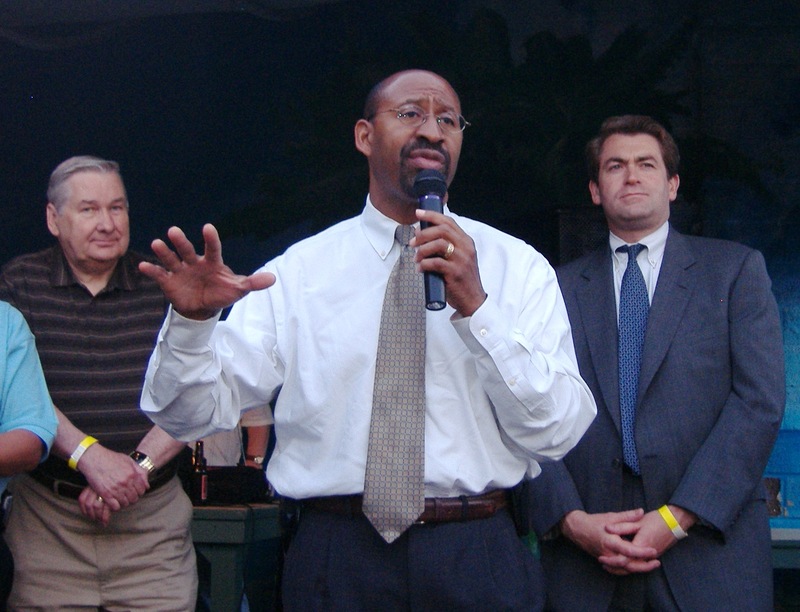 The Republican Party in Philadelphia cannot succeed if the Democrats can be both incumbent and challenger. Photo courtesy of MARC Cleansweep. This entry was posted in Other People and tagged Carol Ann Campbell, John Street, Michael Nutter, Topic. Bookmark the permalink. One Response to Philadelphia magazine: Can Michael Nutter be a reformer?